Costco gasoline stations are known for offering members a great value on high-quality fuel. Among their advertised advantages are stations designed for fast refueling and the best prices on gas. Wondering if your local gas station is open? Here are Costco gas station hours. So, when are Costco gas stations open? On weekdays Costco gas stations are typically open from 6 a.m. to 8 a.m. (and some even at 5 a.m.). They typically close between 7 p.m. to 10 p.m. These extended opening hours appeal to everyday commuters who drive to and from work every day, but who only shop at Costco Warehouse once in a while. Costco weekend gas hours are shorter than they are during the week, but the hours of operation are still longer for the stations than for the stores. Pump hours begin at between 6 a.m. to 7 a.m. and close between 7 p.m. and 10 p.m. Some stations will close a bit earlier on Sundays than on Saturdays. Store and gas station hours can change throughout the year, particularly during holiday seasons. Costco gas stations and stores are often open longer Monday through Friday. It is important to call the local Costco store and verify exact hours that they are open on a particular day, especially during the holidays. You can also check the Costco holiday schedule. Monday: 6 a.m. – 9:30 p.m.
Tuesday: 6 a.m. – 9:30 p.m.
Wednesday: 6 a.m. – 9:30 p.m.
Thursday: 6 a.m. – 9:30 p.m.
Friday: 6 a.m. – 9:30 p.m.
Sunday: 6 a.m. – 7 p.m. When Are Costco Gas Stations Closed? Costco can typically offer gasoline for about 6 to 12 cents a gallon below local competitors’ prices, which is one reason why the gasoline sales account for 10 percent of the company’s revenue. The company does not show their gas prices on their website, partly because gas prices are subject to a high degree of market fluctuation as well as differences in local taxation structures. 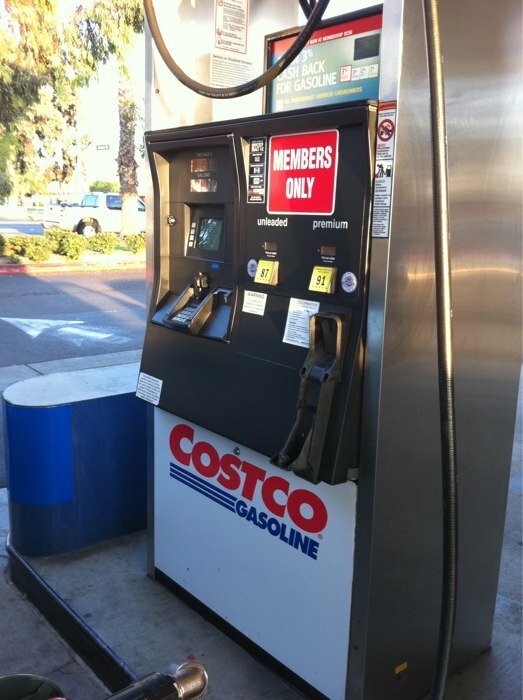 Do I need a Costco Membership to Buy Costco Gas? Only Costco members or Costco Cash Card customers can make purchases at Costco stations. Is Costco Gas the Cheapest? Your local Costco gas station will typically offer the lowest gas prices in the immediate area. However, when evaluating whether or not Costco gas is a good deal, you will need to compare prices in your area. For example, many supermarkets such as Safeway or Fred Meyer offer per-gallon discounts on a particular brand of gas based on what you spend on groceries. So if you are buying gas after you shop, the amount you save could be substantially more per gallon than the discount Costco offers. You will also need to factor in the cash back rewards on any credit card you might be using. To make a better decision on this, check Costco’s official U.S. homepage and Canadian homepage. If Costco isn’t providing enough information you can use Priceviewer.com or Yelp.com to search for individual gas station hours in your state. We recommend using the GasBuddy App for updated Costco gas prices, or visit www.gasbuddy.com and search for your local city. In general, if you’re an all-around savvy shopper, you should approach every gas run as strategically as you would any other shopping. First, consult GasBuddy to find the least-expensive gas prices around and plan on filling up at a time and place where you know you’ll be near cheap fuel. Also by using grocery-chain gas discounts wherever you can snag them, you’ll be able to save more cash at the pump. You can also use this handy calculator to estimate your Costco gas savings. As always, if you know the local hours of your Costco gas station, please feel free to leave a comment. Costco gas is fine, but isn’t always cheaper than the alternatives once you factor in incentive other grocery stores offer. 38% of Costco’s gas as been linked ISIS’s oil fields. They are literally in bed with the enemy. I refuse to support this treason. Local gas stations still taking advantage of higher cost fuel for &40 a barrel petrol. Costco stations have real lower cost fuel prices. When are we going to stop getting ripped off at local stations?